“Our vision revolves around three zeroes – zero cost, zero waiting time and zero environmental impact." 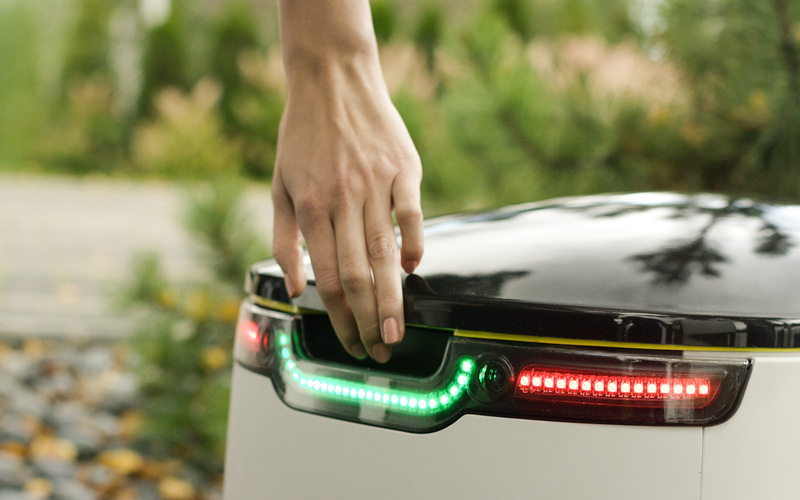 A robot that delivers your pizza to your doorsteps? This is close to becoming a reality in California. Forget about drone delivery and all the complications that come with it; we are talking about mini earth rovers that will conquer the sidewalks among humans to deliver your packages to you. We have to admit this is almost adorable. 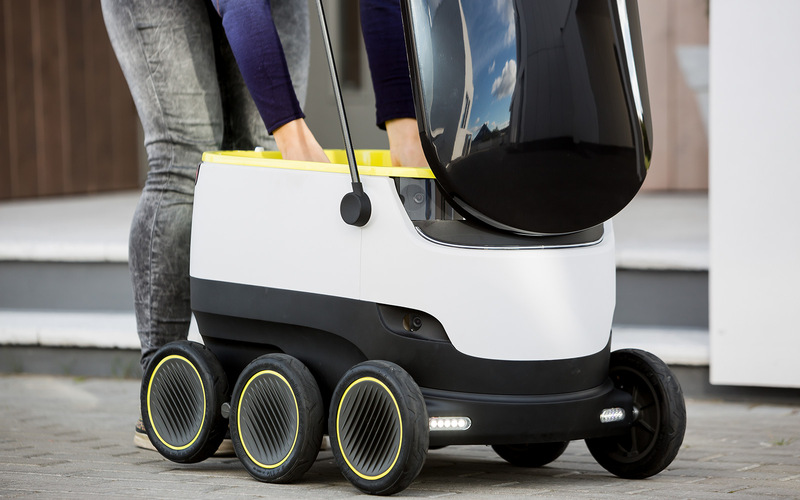 Created by the Starship Technologies, these six-wheeled, lightweight, self-driving robots promise that they can do any local deliveries within 30 minutes. The robots can make pavement deliveries and drive autonomously 99 percent of the time. “Our vision revolves around three zeroes – zero cost, zero waiting time and zero environmental impact. We want to do to local deliveries what Skype did to telecommunications.” said Ahti Heinla, a Skype co-founder and CEO at Starship Technologies in a press release. This robot can carry up to 20 pounds, or the equivalent of two grocery bags. There is additionally an option on choosing the time slot for the deliveries to arrive. You can track your delivery and the robot’s location in real time through the phone app, and once the goods arrive, you can unlock the cargo using the same app. Don’t let the autonomous driving worry you, the software in the delivery robots have a navigation and obstacle avoidance built into it. Also, there are human operators available to step in at any time in case of anything that comes up. “With ecommerce continuing to grow consumers expect to have more convenient options for delivery – but at a cost that suits them. The last few miles often amounts to the majority of the total delivery cost. Our robots are purposely designed using the technologies made affordable by mobile phones and tablets – it’s fit for purpose, and allows for the cost savings to be passed on to the customer,” stated Heinla in the press release. These robots are not race cars, they go up to four miles per hour and use the sidewalks to get to the destination. No, your delivery won’t try to run over pedestrians either, they can alert the people walking around them. We know your beer is important but not important enough to run over people to get it to you. Maybe in the near future, we will be sharing the sidewalks with these self-driving robots. Let’s just hope that they don’t drive too slow in front of you when you’re trying to get to places on a crowded street. What prevents it from being picked up and stolen by anyone? This is funny. Companies are trying so hard to make the next greatest thing and make it work on its own. I am trying to figure out how I would use this as a service. Maybe its a little early yet, but you never know. This is pretty cool. Although it is not really that practical, it is pretty neat to see that the technology used can be used in many different ways!